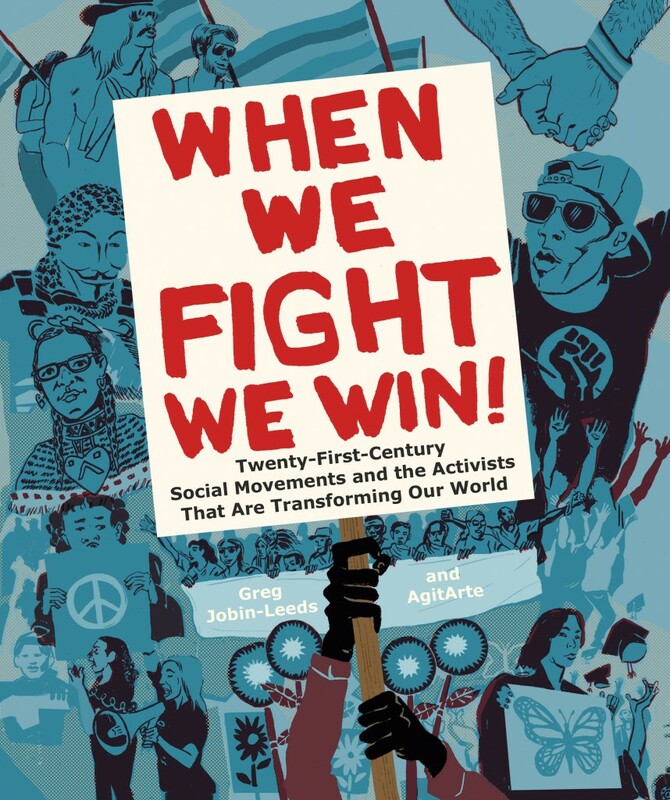 Longtime social activist Greg Jobin-Leeds joins forces with AgitArte, a collective of artists and organizers, to capture the stories, philosophy, tactics, and art of today’s leading social change movements. When We Fight, We Win! weaves together interviews with today’s most successful activists and artists from across the country and beyond. I’m honored to have played a small part in the book – Greg interviewed me for a section about the outcomes of the Occupy movement. Happily, I received a free hot-off-the-presses copy in exchange for my time, and I’m now devouring the compelling interviews with activists and artists who are struggling in the LGBTQ movement, for access to education, to end mass incarceration, for immigrant rights, against extreme wealth inequality, for environmental justice, and at many intersections within and beyond. You’ll want to get your copy ASAP: find it on the project’s website, whenwefightwewin.com. WHEN WE FIGHT, WE WIN! : Twenty-First-Century Social Movements and the Activists That Are Transforming Our World. Review by Sasha Constanza-Chock – When We Fight, We Win on When We Fight, We Win!